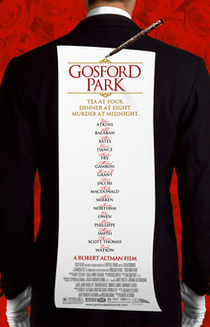 An upstairs-downstairs mystery of sorts, focusing on a group of wealthy people and the servants who are assembled at a country house for a dinner, only for the host to be murdered by one of the contingent following the meal. Though a whodunit is a plot device in this costume drama, the film focuses more on the contrasting statuses between the upper and working classes at the same abode over the course of a weekend. The casting choices and performances are all excellent, but the film does meander along at far too pedestrian a pace, which may suit some, but it really does go on for at least half an hour too long, and the murder mystery is merely an appendage to a lot of meaningless chatter. 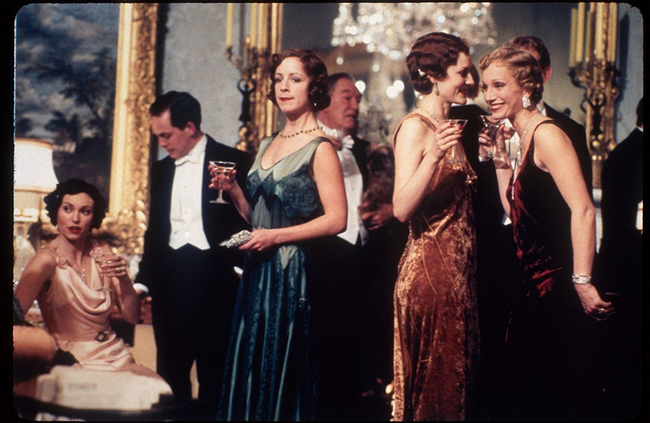 The success of the film, both commercially and critically, saw the inspiration of Downton Abbey, a TV spinoff of sorts, also penned by screenwriter Julian Fellowes.